Shot in Jojoba Wash in the southern part of Anza-Borrego Desert State Park. The name of the area is pronounced like "Huh-hoe-buh", not "Joe Joe bah". 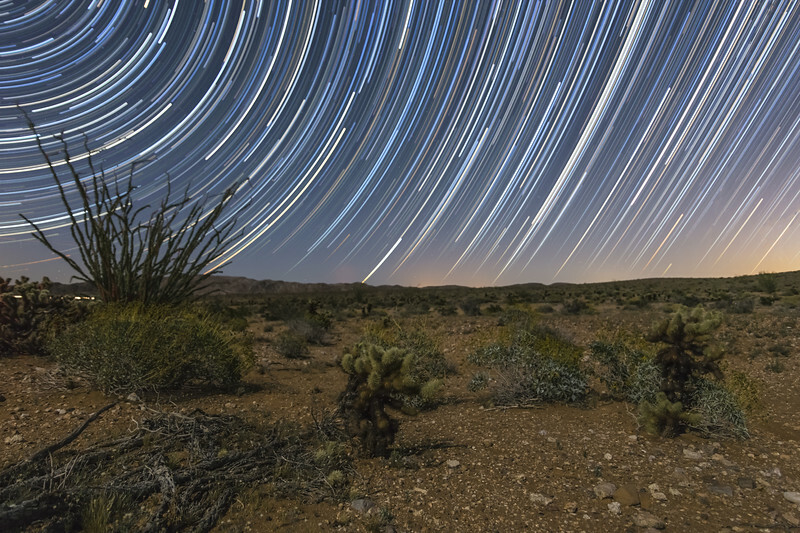 To produce this image, I combined 367 frames shot with a Canon 6D and Tokina 17-35 mm lens - each at 25 f/4 ISO 1600. I then combined the images in StarStaX. This is a single frame from a time lapse I shot here. I'll be posting the time lapse video in the near future.